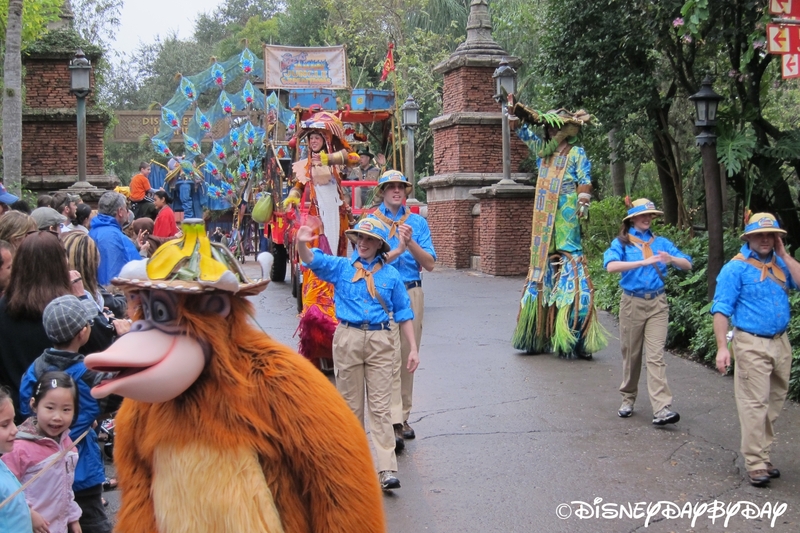 So sing it out… (and bark and growl and screech and roar …) And dance along… (and stomp and jump and leap and soar …) This is our favorite day time parade at Disney World. 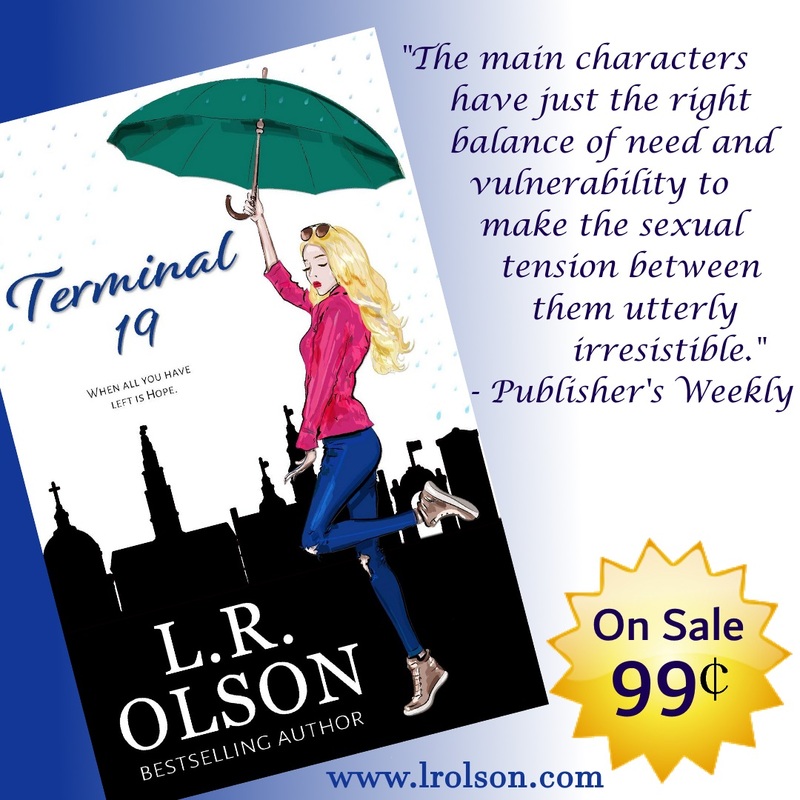 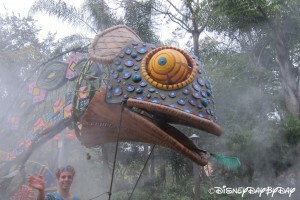 It will have you dancing and singing in no time. 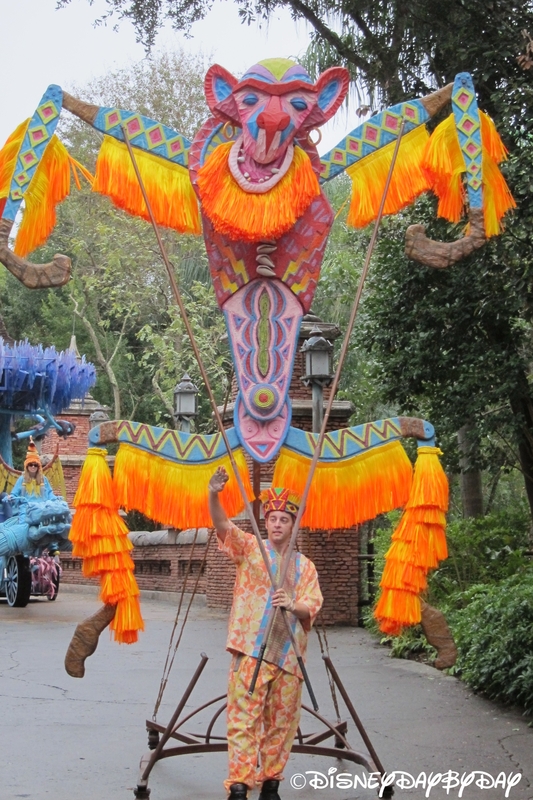 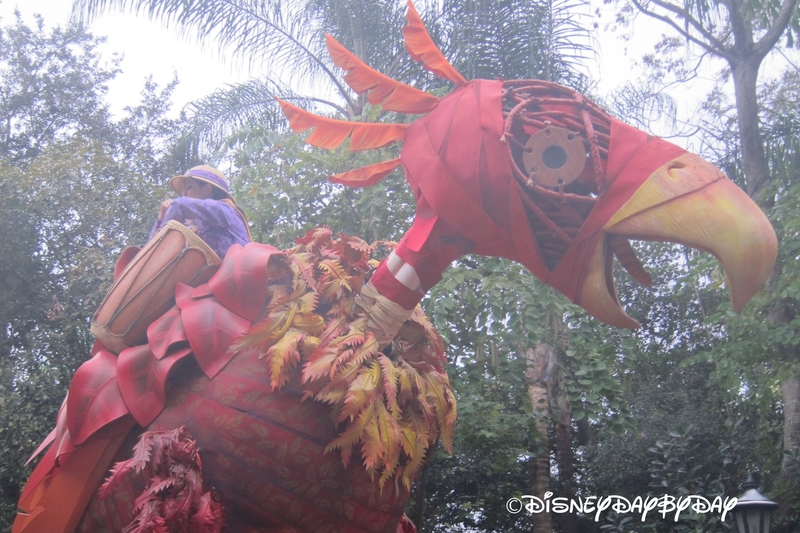 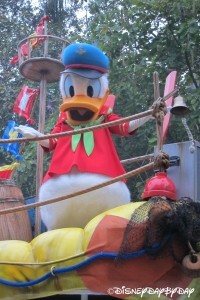 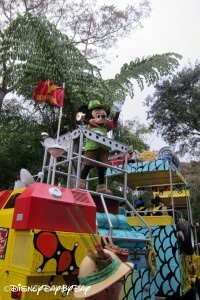 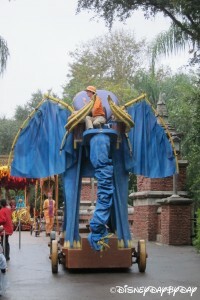 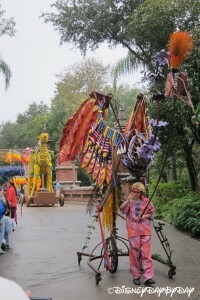 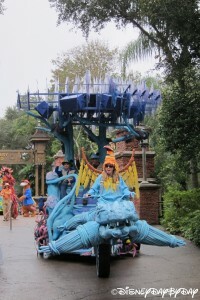 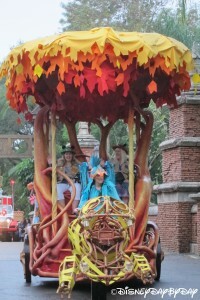 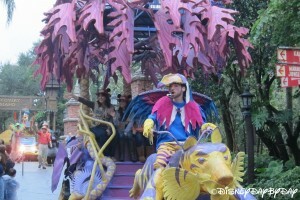 This colorful parade consists of huge animated puppets and drums to stimulate all your senses. 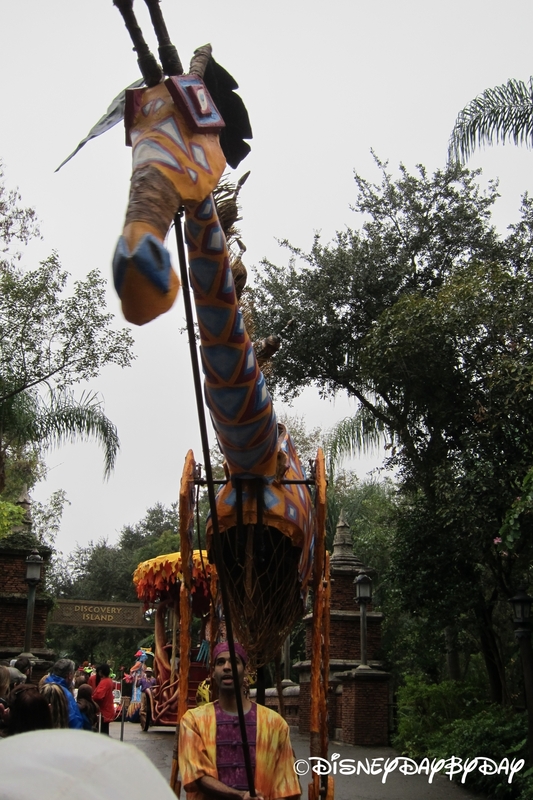 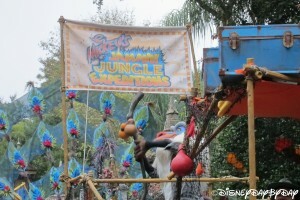 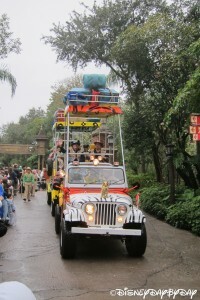 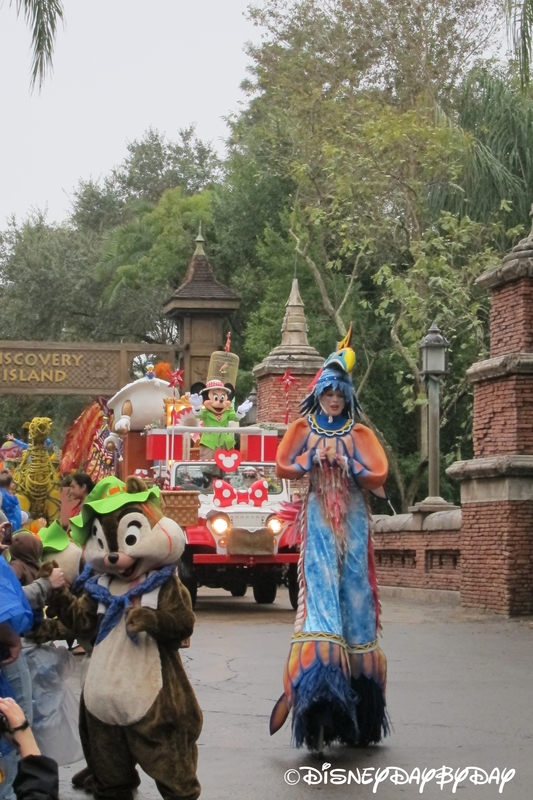 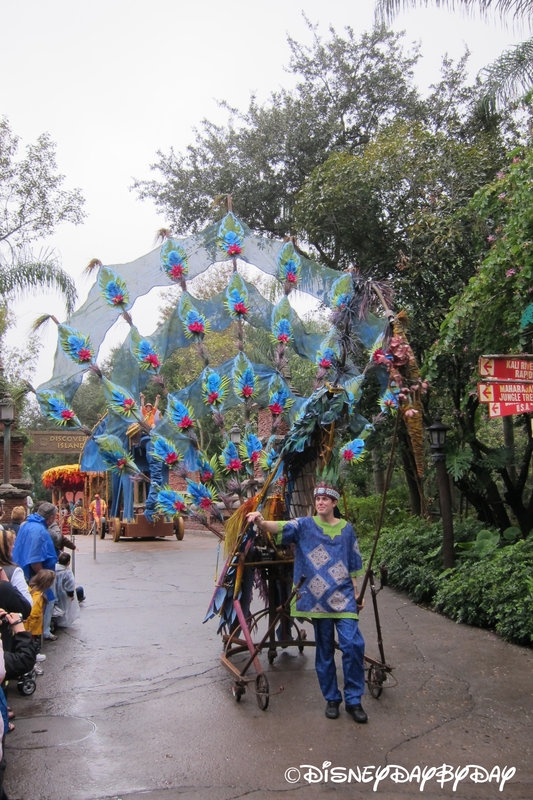 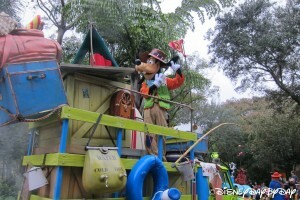 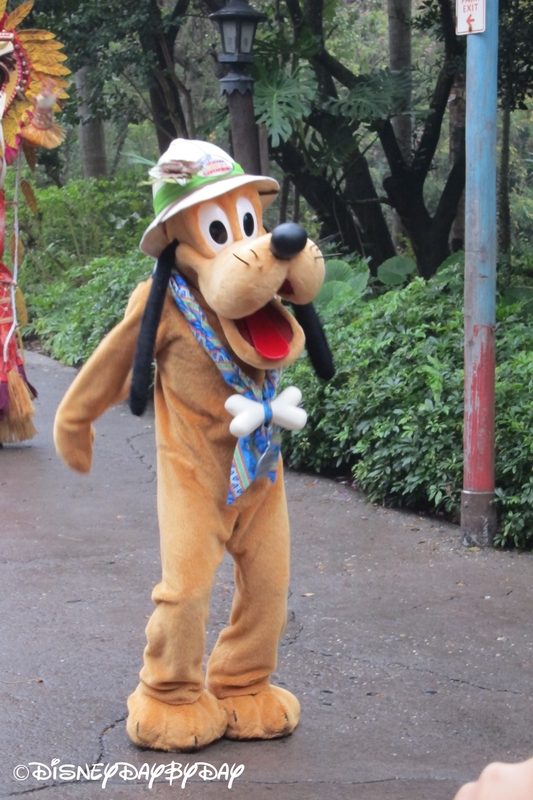 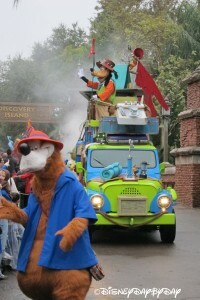 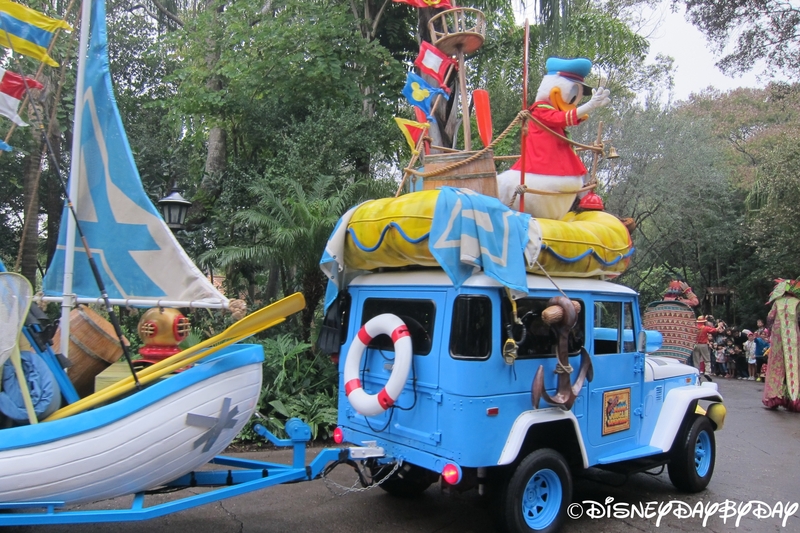 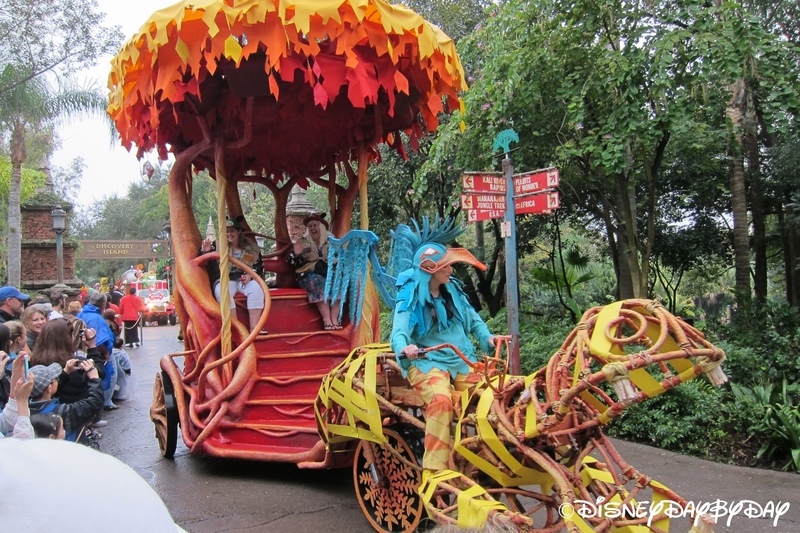 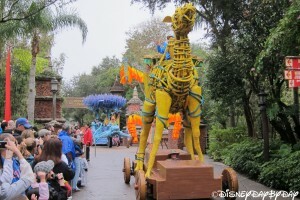 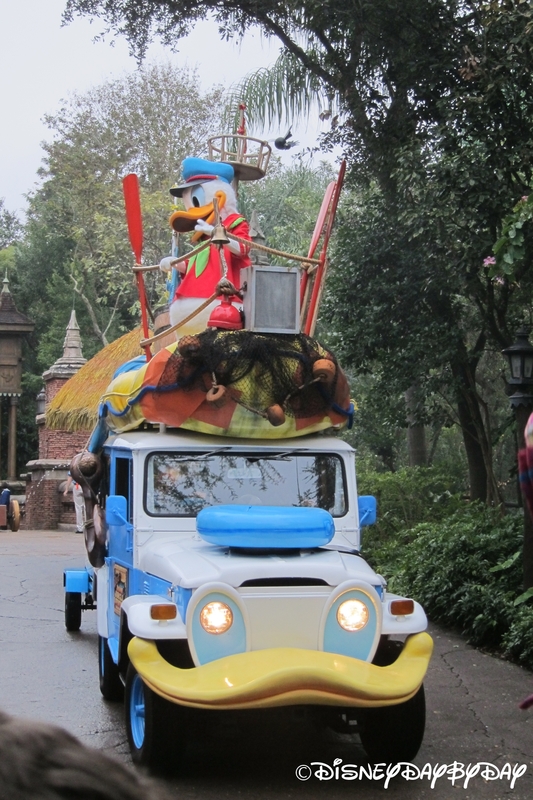 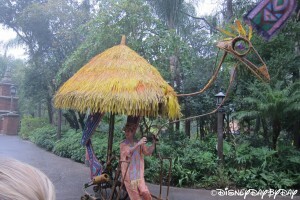 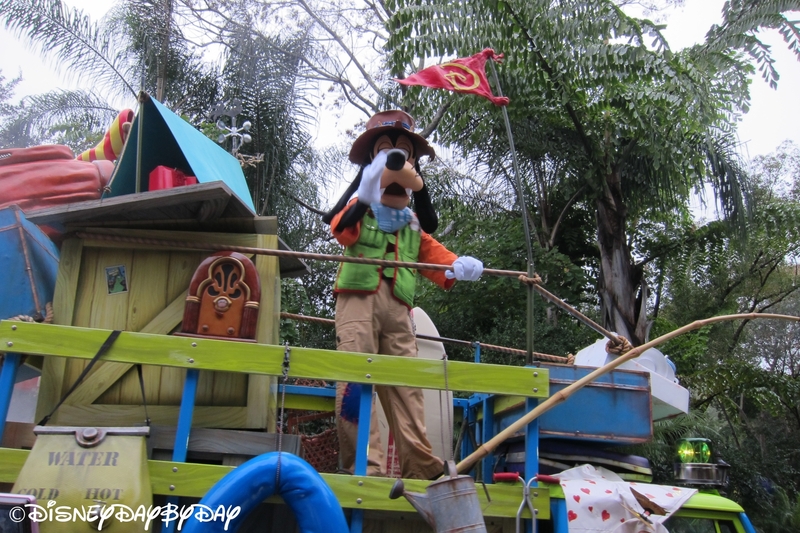 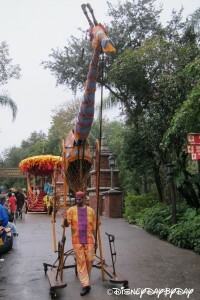 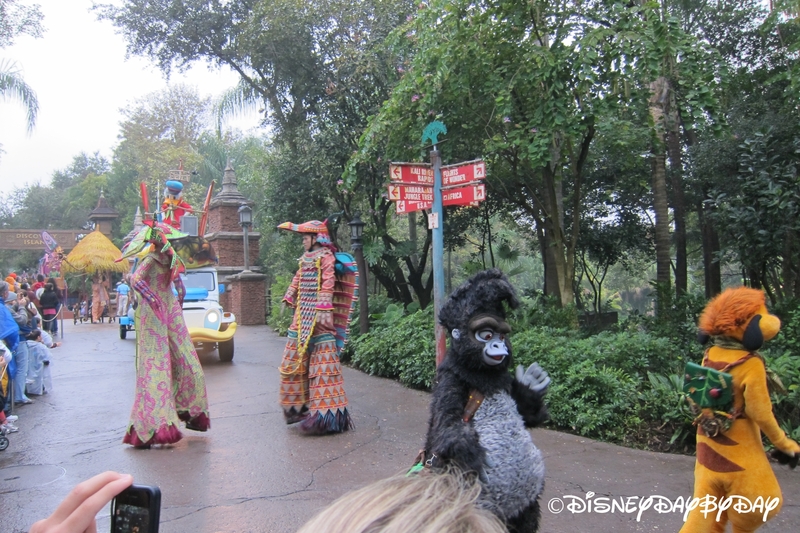 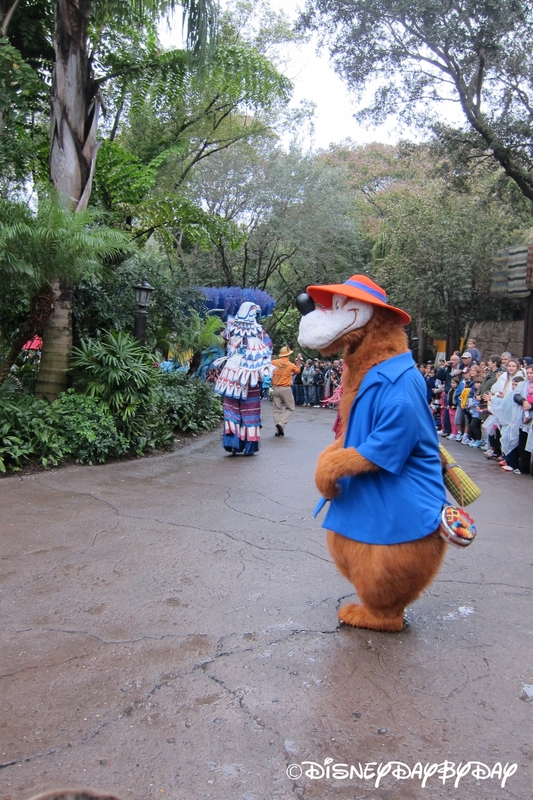 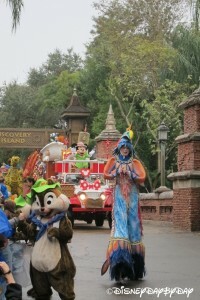 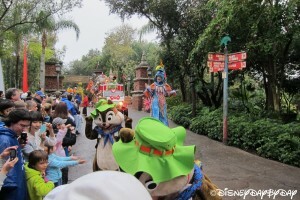 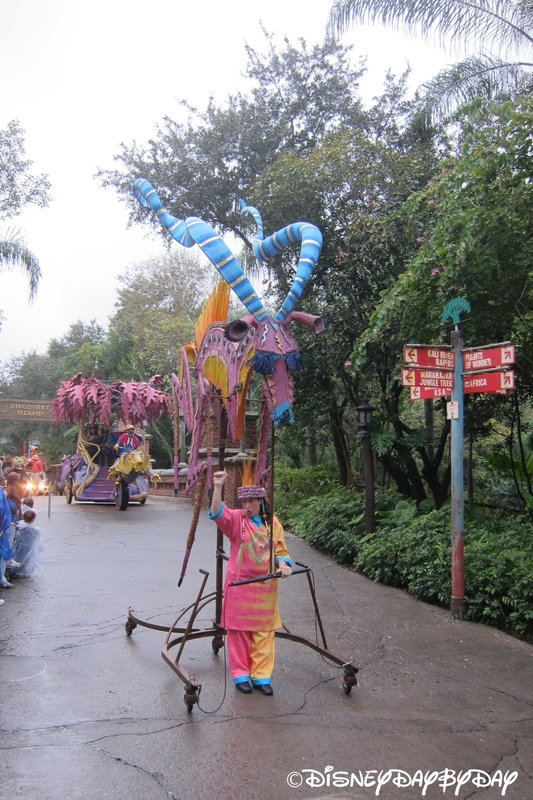 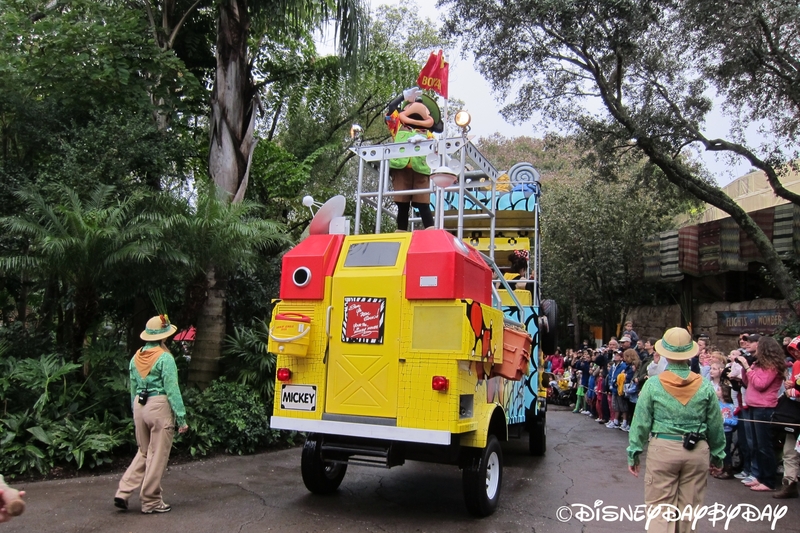 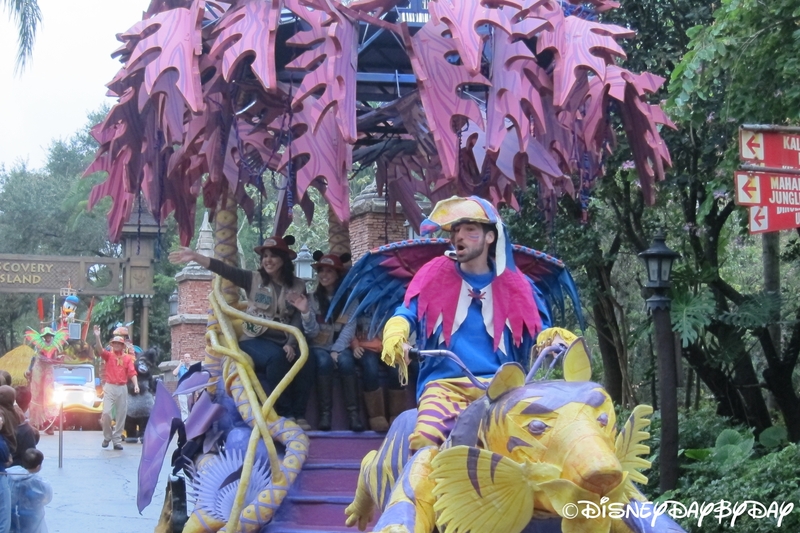 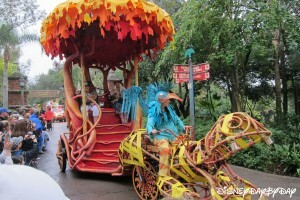 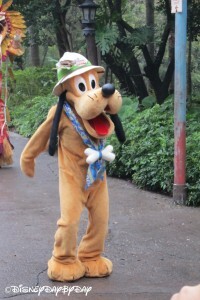 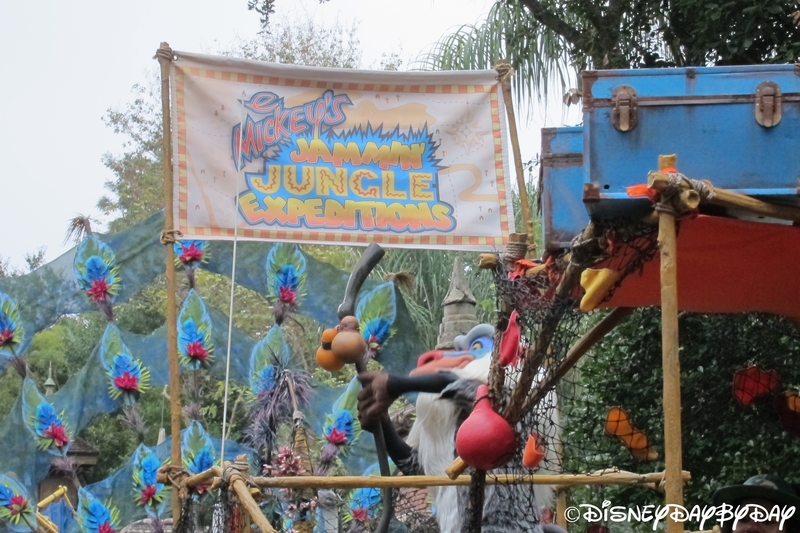 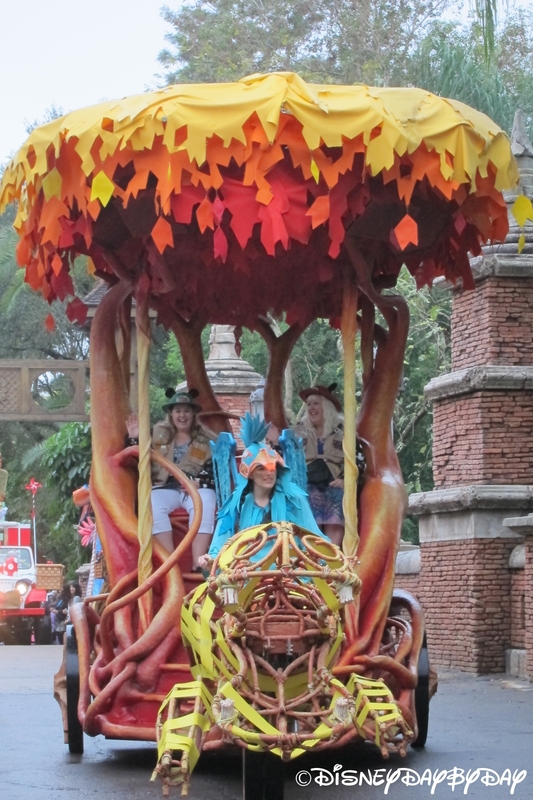 The parade begins and ends near Tusker House in the Harambe Village then winds around Discovery Island. 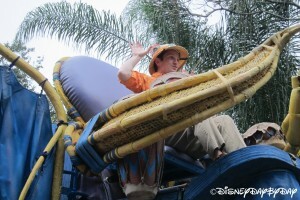 Since the start and end location is the same, the Tusker House is a great viewing spot. 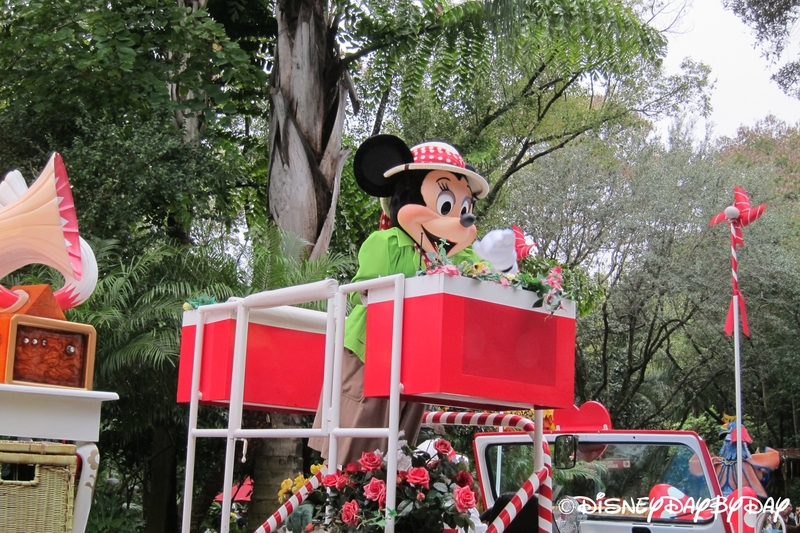 As the parade passes by the first time many people leave therefore when it returns you can have a front row seat (if you didn’t already). 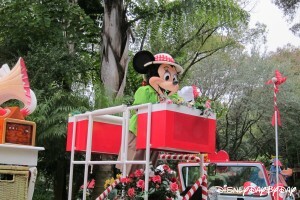 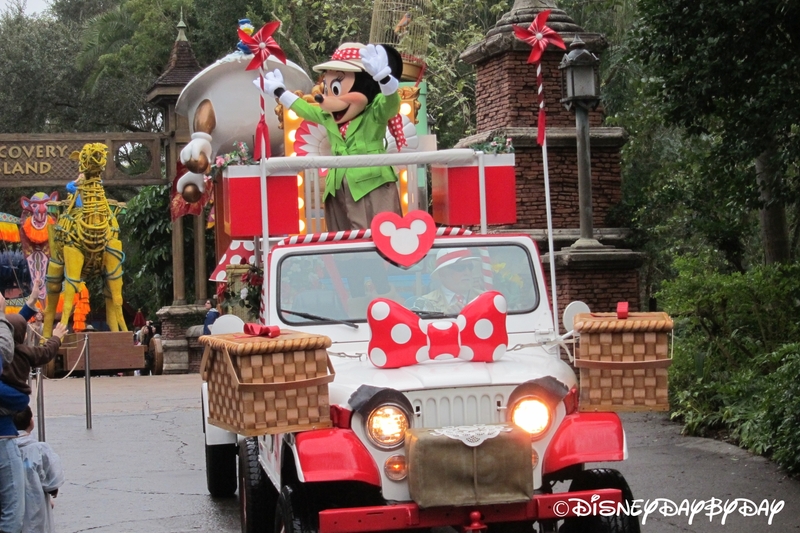 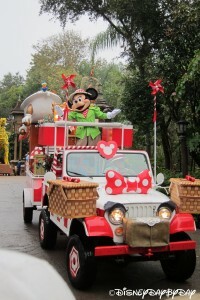 Not only can you watch the parade, but if you are lucky you may just be selected to ride in one of the parade vehicles. Each day around 25 people are selected to star in the parade. 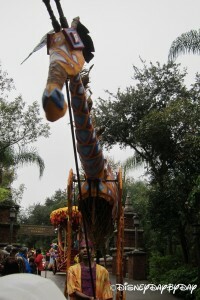 Fingers crossed someday it will be you.